The world of Mu is a strange and fantastical place full of larger-than-life heroes, beasts and monsters, adventure, exploration, and magic. It is a world the gods themselves once strode upon, ravaged by ancient magics wielded by powerful, nearly omnipotent, wizards. The wizards of old and their terrible magics have all but faded away. In their place, new advancements in culture, art, philosophy and technology bloom. Great galleons are commissioned by kings who seek to grow their kingdoms into world-spanning empires. Trade blossoms and begins to take root in the metropolitan centers of the known world, bringing with it profitable contracts for adventurer and mercenary alike. And at the center of it all, a new, powerful city-state – Tradewind – seeks to cement its position in the world. You find yourself in this city, drawn from any number of possible backgrounds to seek your fame and fortune as an adventurer for hire! 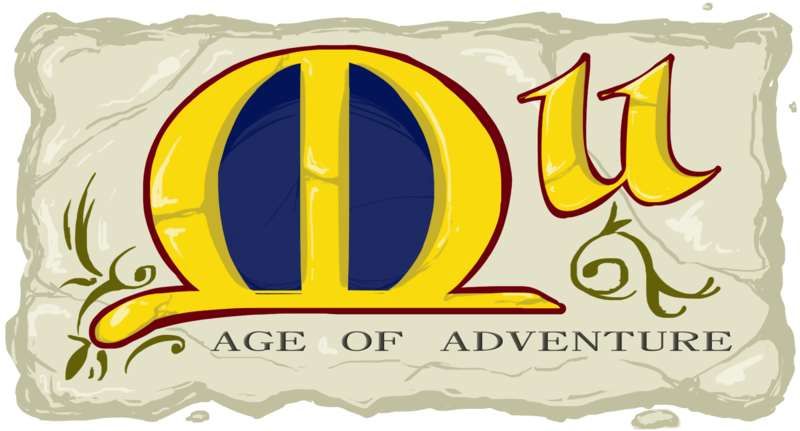 Mu: Age of Adventure is also a pen and paper roleplaying game for 4 or more people. It seeks to emphasize heroism and spectacle, creating a lively, mysterious world for players to interact with and explore. Mu emphasizes the personal deeds and reputation of the players as their characters climb from local heroes to legendary champions. To this end, Mu has a high level of creative control and interaction between the players and the GM – each side adding something to the story that is then spun into a grand adventure. Players will get to come up with rumors about one another, locales that might show up in towns, gossip about major NPCs, or even strange and wondrous things that they come across while exploring dungeons.